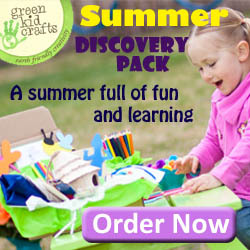 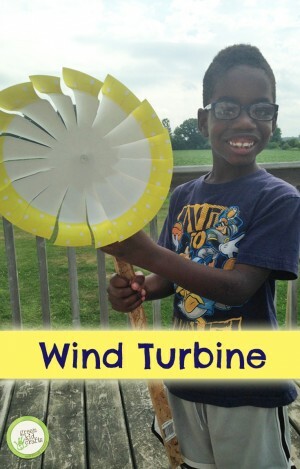 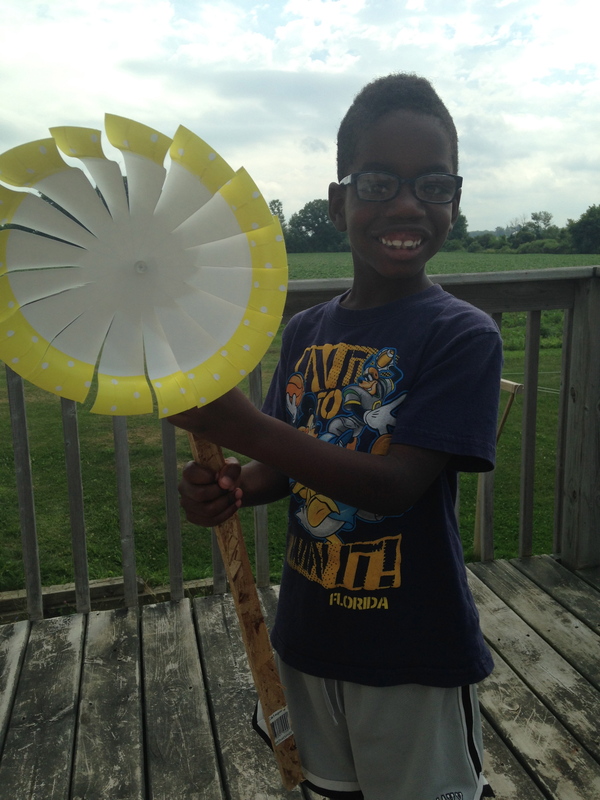 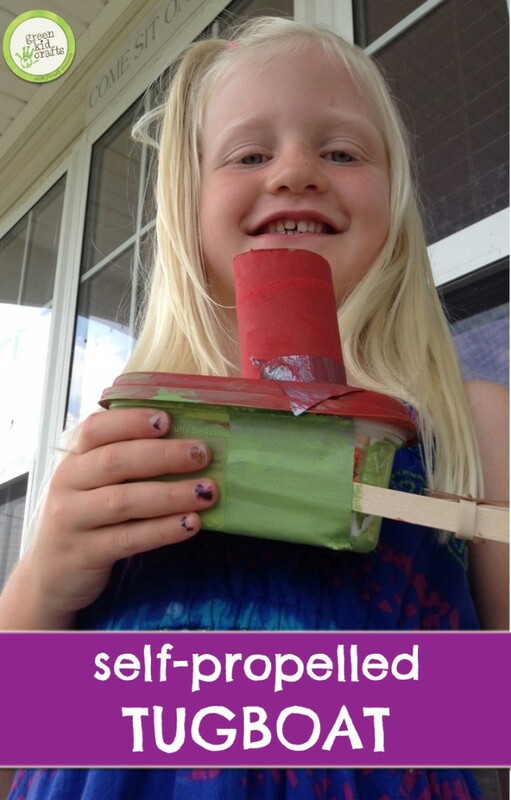 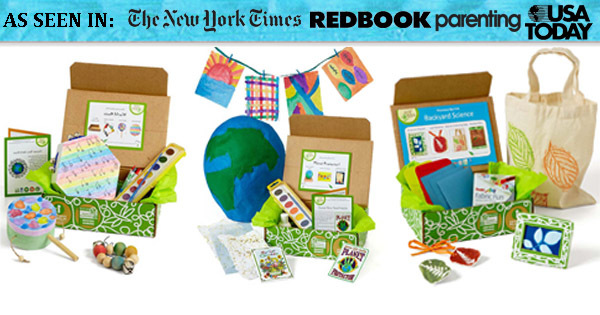 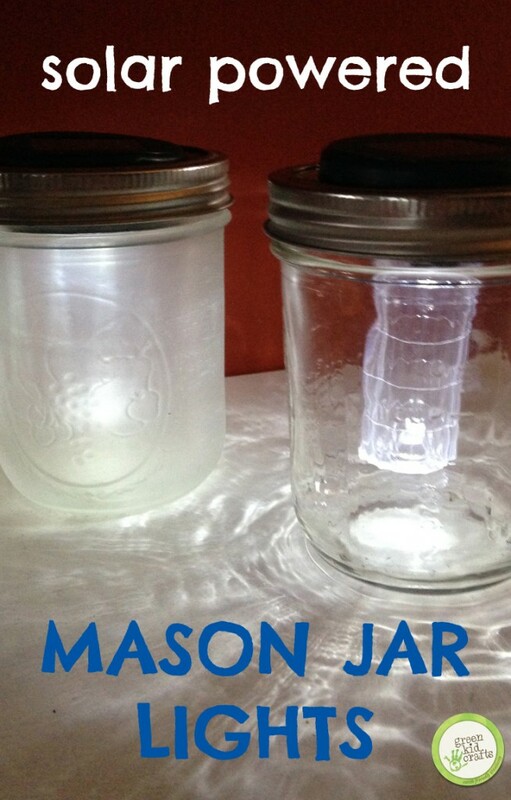 This wind turbine project is a great way to experiment with wind energy! 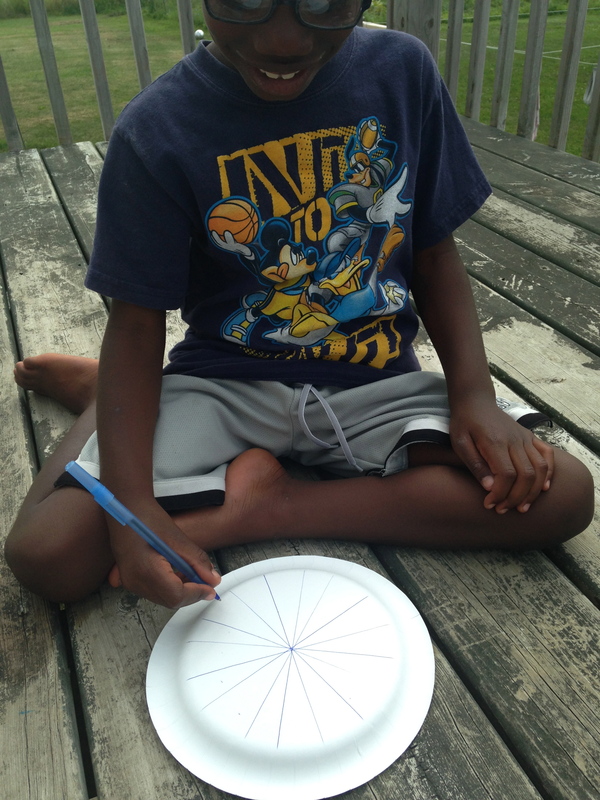 Step 1: Draw equidistant lines on the back of the paper plate. Start drawing them from the center point. 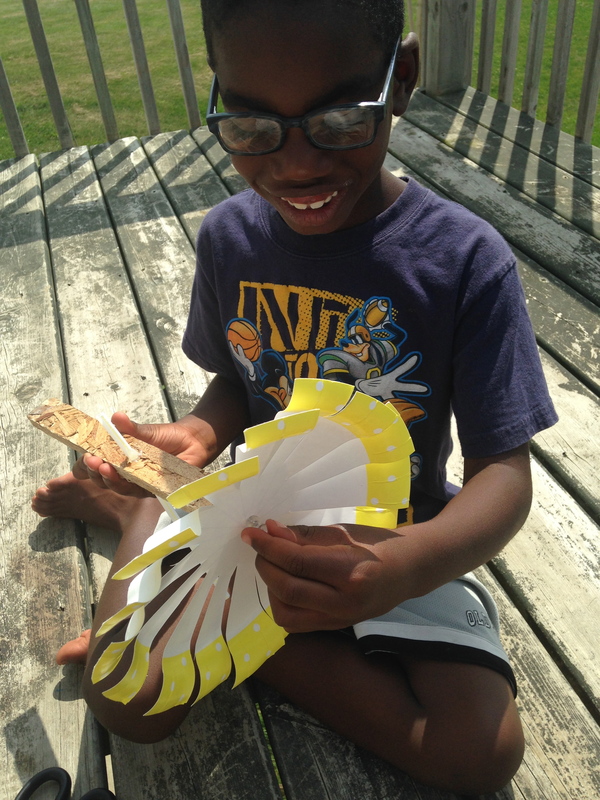 Then cut each line towards the center of the plate leaving a section uncut in the center. Step 2: (Adult helper) Drill about a 3/8″ hole in the center of one of the pieces of wood. 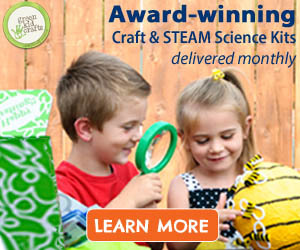 (wood should be about 1″ wide by 12″ long). 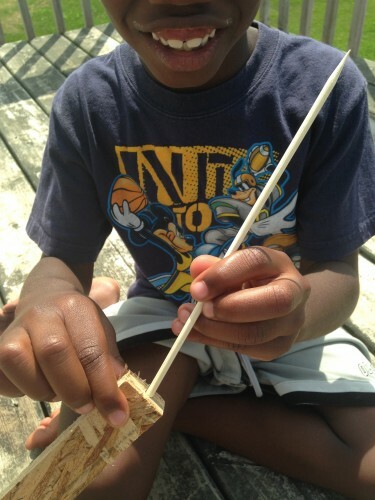 Step 3: Attach the straw through the hole in the wood and use hot glue to adhere. 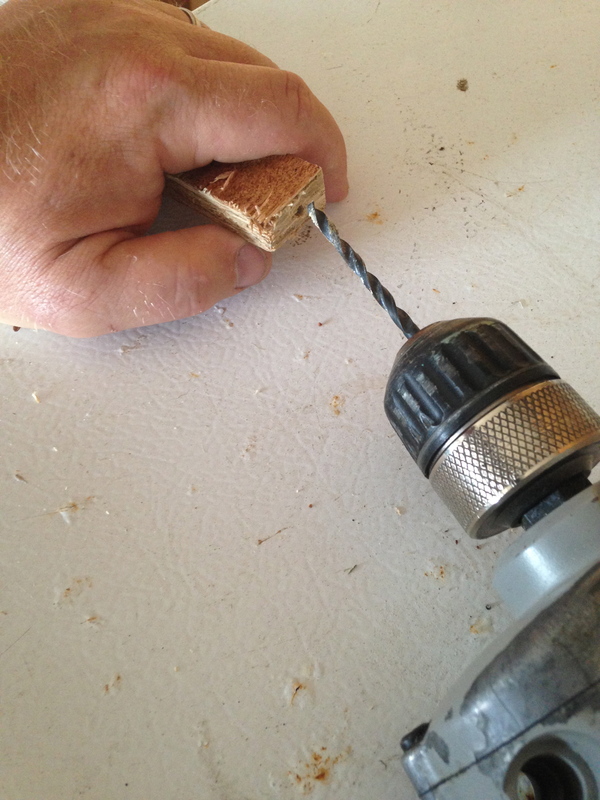 Step 4: Drill a hole into the end of the other piece of wood about the same size as the skewer stick. 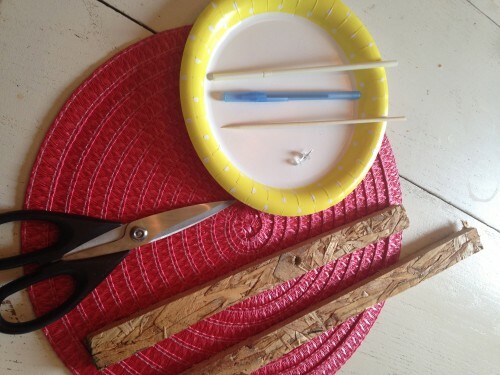 Insert the skewer into the hole and adhere with your hot glue gun. Step 5: Using a push pin or small nail, attach the wind turbine blades to the end of the piece of wood with the straw in it. 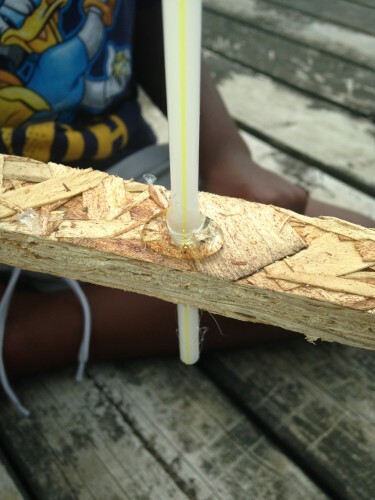 Step 6: Connect your two pieces of wood by carefully slipping the straw over the skewer. Watch your turbine blow in the wind!